Abstract In Exp. 1, 80 Boer and 80 Spanish does were used to evaluate effects of grouping method, single breed (SGL) and breeds combined (COM), on behavior when exposed to electric fence treatments (FT). Five evaluation pens with 1 side consisting of a 5-strand barbed wire fence for cattle had electric fence strands added at 15 and 43 (LowHigh), 15 and 23 (LowMed), 15 (Low), 23 (Med), and 43 cm (High) from the ground. After 5 wk for becoming accustomed to measurement conditions, does were divided into 2 replication sets per grouping. Each of 5 evaluation pens held 4 does for 1-h exposure to FT while behavior was observed. Grouping method and FT interacted (P<0.01) in % of does exiting pens (Boer-COM: 0, 50, 50, 88, and 75%; Boer-SGL: 0, 13, 13, 50, and 63%; Spanish-COM: 25, 88, 100, 100, and 100%; and Spanish-SGL: 75, 100, 63, 100, and 63% for LowHigh, LowMed, Low, Med, and High, respectively; SE=13.2). In Exp. 2, 78 Boer and 80 Spanish growing kids were used with similar procedures. Grouping method and FT interacted (P=0.01) in pen exit (Boer-COM: 50, 25, 75, 86, and 43%; Boer-SGL: 13, 75, 88, 75, and 100%; Spanish-COM: 63, 63, 76, 88, and 75%; and Spanish-SGL: 25, 38, 88, 100, and 100% for LowHigh, LowMed, Low, Med, and High, respectively; SE=15.4). 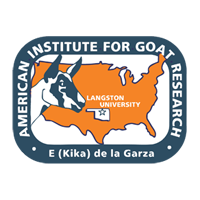 In conclusion, grouping mature but not growing Boer and Spanish goats together was effective in decreasing breed differences in behavior for evaluating electric fence strand treatments.